Thanks to Tracey James Jones at http://tracyjamesjones.wordpress.com for passing this onto me. This is my first time receiving it so those who know me means I am giddy. I have not met Tracey irl but have had the good fortune to know her through our author blogs. She is a peach. Thank the person who nominated you and link to them in your post. Share seven unknown things about yourself. Contact the bloggers you nominate to let them know and to link them back to your post. This rules are not set in stone. If you nominate less that is fine. I tend to do one blog nominee per fact about me. Seven unknown things about me. I can drive a stick-shift. I hate to cook unless I really want to. I am a very nice person unless provoked to be otherwise. I love to draw, even if it is not very well. 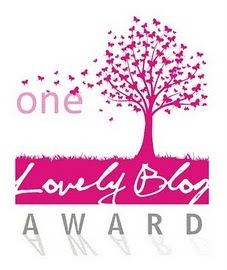 My nominees for the One Lovely Blog Award.